When a homebuyer and seller agree to terms, the listing in the Tallahassee MLS is changed to a contingent status for a period of time. This means that REALTORS using the multiple listing service will know that it is a home under contract, but consumers viewing the listing online will still see it as available. 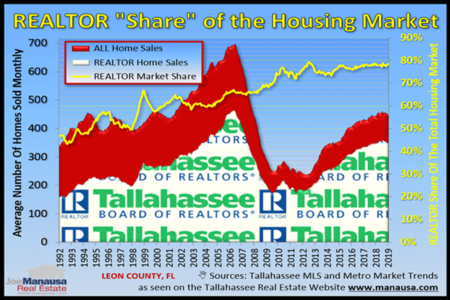 While this might sound like an administratively "ho-hum" issue, the fact is that the "contingent status" has evolved in the MLS and is now distorting what REALTORS believe to be occurring in the Tallahassee real estate market. In order to get an idea of what is going on with listings that have been moved to a contingent status, we can plot all homes under contract (contingent status + pending status) and compare it to homes that have sold. 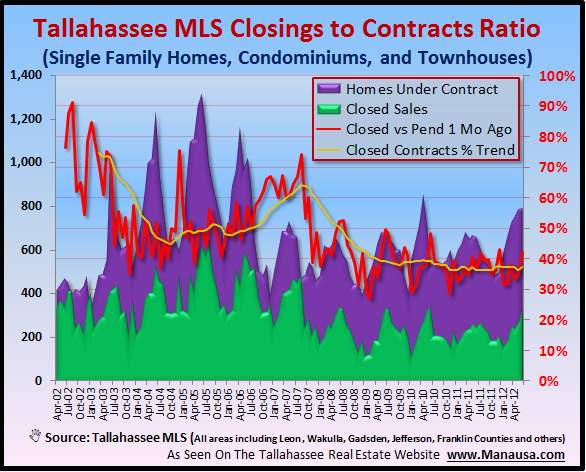 When we do, the following real estate graph emerges and sheds some light on the difficulty of actually going to closing when you try to sell a home in Tallahassee. Currently, only 37% of homes that go under contract are making it to the closing table (meaning 63% of all real estate contracts fail to close). 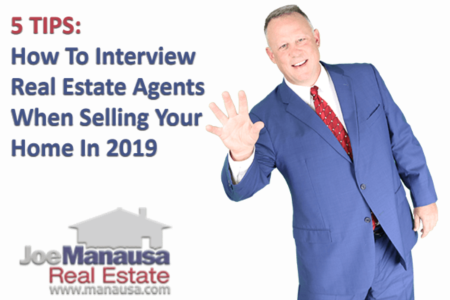 Home sellers be warned, when you hire a real estate company to sell your home, make sure you know who is going to handle the process from contract to closing. I strongly urge you to ensure that there is more than just one person involved. Many real estate agents see the growth in real estate contracts and believe the market is far stronger than one where 63% of contracts fail to close. If you fail to do your homework before you hire a real estate agent to sell your home, then you very well could end up in the group of unhappy home sellers who fail to sell their homes. In the "good 'ol days," we did not have a contingent status in the Tallahassee MLS. Listings were either shown as active, pending, or sold. Somewhere along the way REALTORS decided that we should have a "pre-pending" status to indicate those contracts where the principals were still working out inspections and financing issues (meaning contracts were still contingent upon issues that could be determined within a few weeks). The trouble is, we (REALTORS) are not known as an industry of skilled and accurate folks when it comes to record keeping. Not all users of the Tallahassee MLS properly update their listing information, so something marked as contingent status could very well need to be modified to a pending status. But the biggest issue with homes under contract in today's real estate market is the short sale. So many of these contracts fall apart because buyers are not aware of the variable time frames involved with moving a contingent status short sale to closing. Buyers end up backing out of short sales far more often than we have traditionally seen with arms length home sales, thus the rise in contingent status contracts that fail to close is not surprising. Ultimately, if you plan on selling a home in Tallahassee, you should ask your REALTOR to explain his or her policy on status adjustments in the Tallahassee MLS. Most buyers do not want to look at homes under contract, whether they have a pending or contingent status, so you should be hesitant to accept anything other than an iron-clad contract on your home. As soon as you move it to the contingent status, you join the ranks of home sellers with a 37% chance of closing! If you want to know more about getting your home sold and closed and not just placed on contingent status, drop me a note and we can schedule a time to review your particular needs and home selling situation.